1 State of the Air® 2017. American Lung Association. Retrieved from www.lung.org/assets/documents/healthy-air/state-of-the-air/state-of-the-air-2017.pdf. 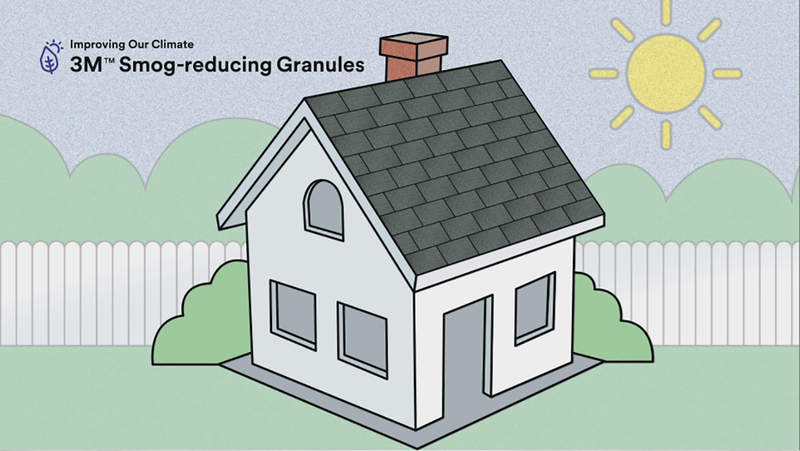 3M Smog-reducing Granules harness the power of the sun to improve air quality. Smart roofing shingles address air quality and climate concerns.